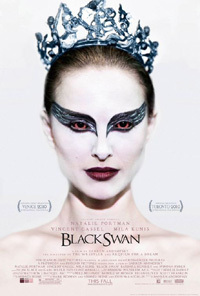 Earning Natalie Portman her first Oscar win, her portrayal of a ballerina aiming for the top spot in Swan Lake is an intense journey. Pushed by her mother who vicariously lives through her after a failed ballet career, the stress, pressure and physical strain takes its toll to the point where her perception of reality and fantasy start to blur. I was really impressed that Aronofsky admittedly referenced Italian horror director Dario Argento's work in the making of this amazing genre blending film. It is fascinating how Aronofsky went from the masculine grit of a pro wrestler with Mickey Rourke to ballet – but it is an equally intense physical and emotional journey.